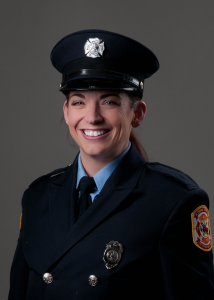 The City denied McQuistion’s request for light duty because the City had a policy that only authorized light duty for (1) employees injured on the job, and (2) pregnant police officers, pursuant to a collective bargaining agreement between the City and the police officers’ union (the CBA with the firefighters’ union did not contain a similar provision). In response, McQuistion retained Roxanne Conlin and sued. The Iowa Supreme Court, however, reversed the lower court’s conclusion that no pregnancy discrimination occurred. The Court, just like the Court in Young, said that a policy that excludes pregnant employees from an employment benefit (e.g., light duty) is only prima facie evidence of unlawful discrimination—that’s only the first step in the analysis. The employer still gets to articulate a legitimate (non-anti-pregnancy) reason for denying the benefit to pregnant employees while allowing it to other, temporarily disabled employees. Finally, the employee has a chance to rebut the employer’s reason and show the reason is just a pretext—a smokescreen—to treat pregnant employees worse than others. Chief Justice Cady, writing for the Court, explained that what happens at this third step in the analysis is weighing of “the burden imposed on pregnant employees by exclusion from the policy and the strength of the neutral reason for the employer to justify the exclusion of pregnant employees.” If the employer’s reason is “weighty” enough, then excluding pregnant employees is legal. The Supreme Court had to remand the case back to the district court to make this determination, so we will have to wait and see how the weighing process comes out. [I]n order to eliminate discrimination against the disabled, the law generally requires an employer to provide reasonable accommodations that permit the person to perform the essential duties of the job. We have not extended that requirement to temporary disability cases. The extension of a duty to reasonably accommodate to include temporary disabilities, including pregnancy, is laden with policy considerations normally reserved for the legislative branch of government. Now, does this mean employees should stop providing accommodations to employees with temporary medical conditions? 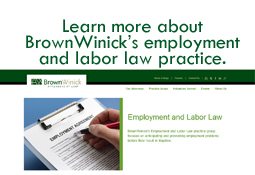 NO, the rule of thumb should still be “Assume Disabled Always.” But if you are a small employer (fewer than 20 employees) and providing accommodations is taking a toll, definitely reach out to a member of BrownWinick’s Employment and Labor Law Practice Group to discuss your options. The McQuistion decision may offer a window of relief for small businesses managing through “worker with a health problem” issues.